Generation X was experimented upon a lot when it came to education. One of the biggest failed experiments I remember was open classrooms. Did you come across this in your own grade-school days? Schools were built with hardly any walls, and so one group of kids might be learning in one part of the giant open classroom, and another group not that far away, with no walls separating them. 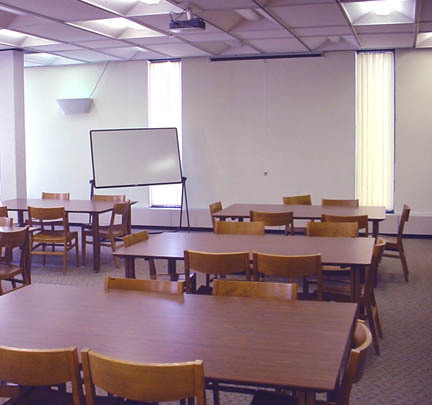 "An open classroom is a student-centered classroom design format popular in the United States in the 1970s. In its most extreme form, entire schools were built without interior walls, which made teaching loud and disruptive in worst case scenarios - for most schools this has not been as big a concern as proper ventilation and maintenance. 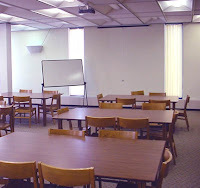 The idea of the open classroom was that a large group of students of varying skill levels would be in a single, large classroom with several teachers overseeing them. It is ultimately derived from the one-room schoolhouse, but sometimes expanded to include more than two hundred students in a single multi-age and multi-grade classroom." Now really, does that sound like a good idea to anyone? Can you see the problems coming? Seriously, kids have enough trouble paying attention in a regular classroom, throwing in extra distraction seems completely insane to me. My school didn't have open classrooms, but we did have some classes that were mixed grades--second and third together, that kind of thing. I'm also not sure why this was thought to be a good thing. It's interesting to me that most of the schools built for open classrooms have since put up walls or barriers to separate them. Seventies kids were the guinea pigs, and the experiment seems to have flopped. But modular scheduling, ah, we had that in high school, and that was a true gem. The day was divided into 15-minute "mods," every day was different, and you might have one class, then three hours unscheduled, or you might have a day with barely a chance to take a breath. It was like college, forcing you to learn to study and do your lab work when you had to. Again, some kids failed at it, but it taught you how to use your time and could be quite a lot of fun for kids willing to take the initiative. Did you have any unusual school scheduling or layout? What did you think of it? We had the mixes grades. The purpose of mixed grades was so the advanced 1st graders and the slower 2nd graders would be in the same classroom. When I moved to a school that didn't split the grades, I ended up moved into the next grade (third grader attending in a fourth grade class). Messed me up when I moved again (technically a fifth grader, but had already done the fifth grade work). None of that progressive nonsense for us. Here in the Tennessee public system of the 1970s, we had the conservative "one-class-one-room" regime inside tight little cinderblock walls. It engendered a nice old-fashioned long-term intimacy with one's classmates, along with the contempt that familiarity naturally breeds. Yep, 5th grade I was in an experimental "gifted children" class of 20 kids... then in 6th we had a brand new school which had moveable walls so that we could have open classrooms or not as the teachers chose. That was OK, the 2 teachers who shared the open space were great friends and very good at dealing with the open structure. All that was good. The bad? The "new" math. Ugh. I still suffer because of that bad early math training. Seattle STILL has some open plan schools and shcools with mixed classes. Some paretns like it, but my son's friend moved to our school when he was placed in a K-1 classroom at a 1st grader and started repeating K work. What a waste of time for a perfectly typical kid. Elementary school in Delaware during the '70s was pretty conservative and conventional... with two exceptions. One, in 5th grade, involved "student-guided" exercises in which we all paired up in various "stations"; one would give a test to another and use an answer key to grade it. We would spend hours going around the room from station to station completing these exercises. I guess it was supposed to be more engaging for us, but mostly it just seemed a way for teachers to slack off. Of course, we clowned around most of the time and didn't accomplish much. The second non-conventional experience I had was in 6th grade, where I had a teacher who gave us independent projects. That worked better, because although we had a lot of latitude in what we could do, the teacher held us to a high standard and accountable for our work. I started first grade in 1977, and we had open classrooms in my elementary school. We had orange plastic tote trays where we kept books. In middle school, we had flip week, where swapped your 1st and 2nd hour classes with your 5th and 6th hour ones. My sister had Mod classes in high school but they got rid of them by the time I got there. My school district, in a suburb of Houston TX, went completely "open-concept" in the 1970s through the mid-80s. I attended open concept schools from 5th through 12th grades. I actually liked it, found it taught me how to focus and ignore distractions. Something that I found helpful in college and later in office situations. You are correct though, this was an experiment that ended toward the end of the 1980s and the schools grew walls. Did you go to Apollo HS in St. Cloud? I graduated there in 1982! I skated at Skatin' Place, too! I love your site! Hey, Anonymous -- Brian here. Thanks a lot. Gael wrote that particular post, but I went to St. Cloud Cathedral -- graduated in '86. Lots of hours spent at the Skatin' Place!